Eurolanche interviewed the highest ranked prospect of Colorado Avalanche. Tyson Jost is one of the reasons why some still believe the Colorado Avalanche may have a bright future ahead of them. 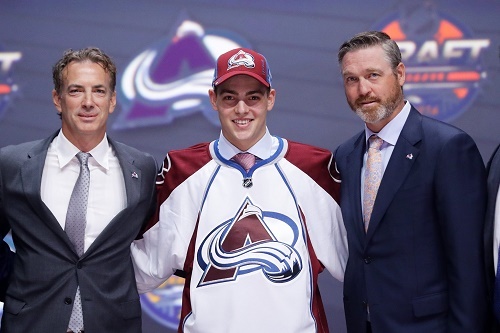 The 18-year-old forward was drafted by the Avs 10th overall during last year’s NHL Entry Draft. In 2013, Jost made the decision not to play in one of the major junior leagues in Canada under the CHL umbrella. Instead, he opted for the British Columbia Major Midget League and British Columbia Hockey League in order to retain his NCAA eligibility. 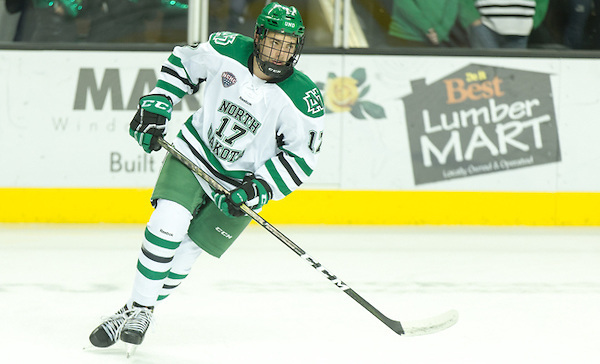 He made his NCAA debut for the University of North Dakota this season. As of today, he played in 30 games, scored 15 goals and added 16 assists for 31 points. According to NCAA rules, he can’t attend NHL training camps while he is still playing in the league. Him making his NHL debut next year or the year after depends on a mutual agreement between Tyson and the Avs. There is also the option to remain in the NCAA the following three seasons and then become an unrestricted free agent. Jost has become one of the most coveted junior players over the last years. During the 2015/16 season, he scored 104 points in only 48 games in the BCHL. 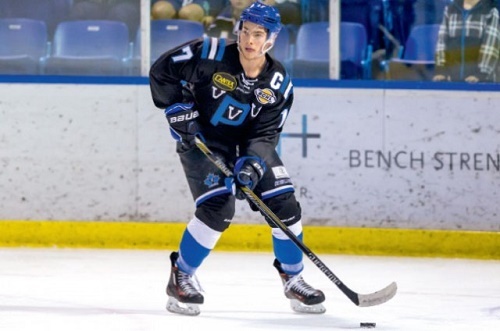 He won both the BCHL and BCMML championships, was selected to the BCHL All-Rookie Team, was named the BCHL MVP and earned the Canadian Junior Hockey League National Player of the Year honor. Internationally, Jost played for Canada’s U18 team at the 2015 Ivan Hlinka Memorial Tournament, where he and his teammates won gold. 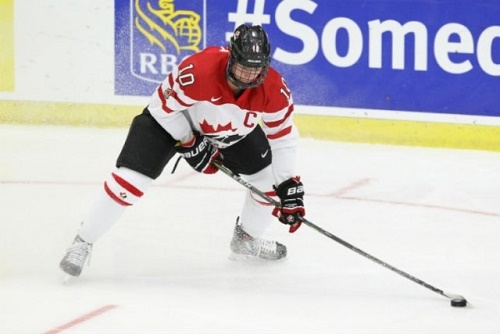 In 2016, he was Team Canada’s captain at the U18 World Championship, scoring with 15 points in seven games, breaking the previous Canadian record held by Connor McDavid (14 points in 2013). He also appeared at this year’s World Junior Championship, where he scored four points in seven games and won silver. Why did you opt for the NCAA instead of the CHL? What do you think are benefits of playing in the NCAA? I truly believe playing in the NCAA was the best option for me to develop into an NHL player. There are so many benefits to the NCAA. I'm playing against men who are 4-5 years older than me and I am pushed every single game. College hockey also gives me a lot of time to develop more strength and refine my skills. This is your first season in the NCAA. Can you compare it with the BCHL, where you played last year exploded for 104 points in 48 games? It's hard to compare the two leagues just because there's such an age difference and the NCAA is a step up from Junior A. College hockey is a lot faster and the players are bigger and more mature, but it's been a positive adjustment. I really thought Penticton helped me adjust and mature for the College level. How do you feel this season? You still keep a point-per-game average and you played for Team Canada at the World Juniors. Do you think this is your best year so far? The year’s not over yet and I feel like I still have a lot to prove. I'm mostly concerned about winning a National Championship this year with my team. That is one of the reasons why I came to UND, but I do believe I have had a great year so far and I truly believe that this year, I have taken amazing steps in my development as a player. Can you describe last year’s draft day? How did you feel? What were your real expectations? Did you believe someone would choose you in the top 15? It was an amazing experience; something I will cherish and remembered for the rest of my life. It was amazing having my family to be there and experience it with me. I didn't really have any expectations going into it. Everything was out of my hands and I just wanted to enjoy the moment, but I did believe that I would be chosen inside the top 15 and I'm just happy with how things played out. 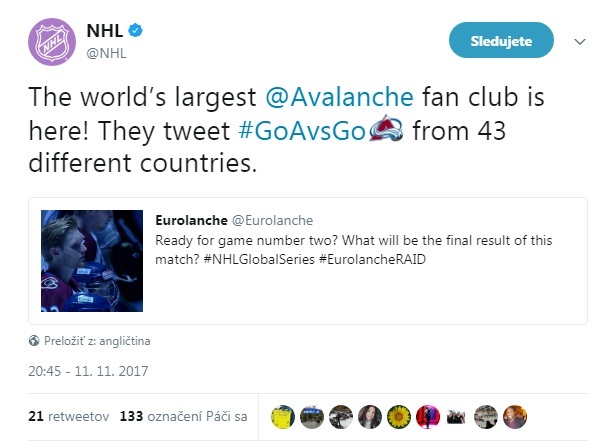 What were the first things that went through your mind after the Avalanche chose you? Did you follow the team in the past? Did you know some star players like Sakic or Roy? I obviously knew about some of the big names that went through the Avs organization and the Cup that they won in 2000/2001. One thing that stood out to me was the talent that they had, like MacKinnon, Duchene and Landeskog. Do you regret that you couldn't take part in the Avalanche’s training camp because of the rules of the NCAA? It was tough that I couldn't be a part of training camp, but it's something I had to sacrifice in order to play for UND. Can you compare your style of play to any current NHL player? I try and model my game after Jonathan Toews. I respect the way he plays and how he's good in every area of the ice. Those are qualities I take a lot of pride in. Can you tell us about your strengths and, on the other side, describe what you’d like to improve about your game? I'm a 200ft player who can create offense, but also can be reliable in the D-zone. I think my hockey IQ and my offense are my biggest strengths. I want to improve my skating and my explosiveness. Do you want to play in the NHL next season? When will you have to make a decision about next season? Right now, I'm just focused about my team here at UND. Winning and getting better every day is what I'm focused on right now. As for my decision next year, I'll cross that bridge when it comes! Do you follow the Avalanche this season? It’s not good of course. Do you think you could help the team be better next year if you were given the chance? I'm trying not to focus on that right now I'm focused on trying to help UND win a National Championship. Obviously, one of my goals is to try and help Colorado win another Stanley Cup, but that's a future goal. My present and main goal right now is to win at UND.